In 1644 there was an accident in Agra, the capital of the Mughal Empire. The favourite daughter of Emperor, Shah Jahan, was severely burnt when her dress caught fire. Many doctors tried to help her, but none succeeded. One of the courtiers informed the Emperor of some traders in Surat from a far-away land, who had a skilled medicine man with them. Messengers were quickly dispatched to Surat. They brought back one Gabriel Boughton, surgeon of an East India Company ship. The surgeon was able to successfully heal the daughter. Pleased, the Emperor promised him whatever reward he may desire. May be because of company loyalty or simply a lack of imagination, Boughtan asked for permission for the East India Company to trade in Bengal. At the time, India represented close to 25% of the world’s GDP, second only to China, while Britain had a paltry 2%. Bengal was the richest of Indian provinces. Trading with it could be an immensely profitable opportunity for the Company. 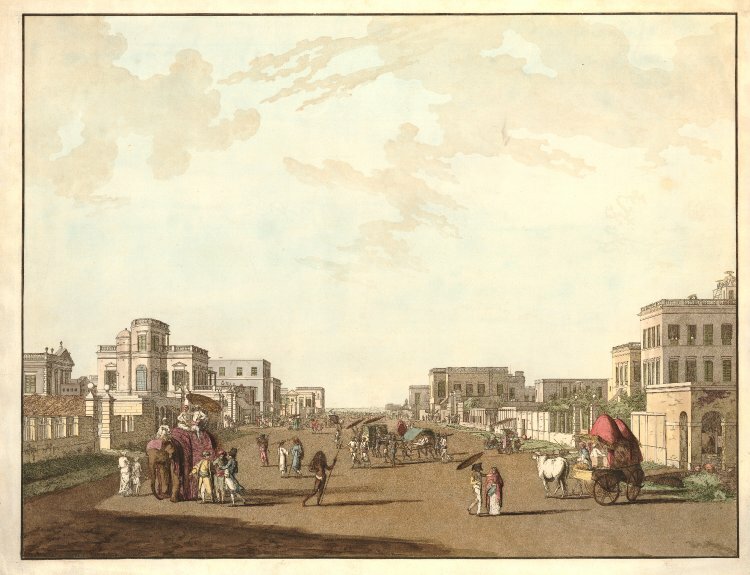 The Emperor granted the doctor’s wish and soon first British trading post of opened in a village close to the town of Calcutta. One hundred and twelve years later, Bengal looked very different. It was now ruled by a Nawab in Murshidabad, who was formally a servant of the Emperor in Delhi but retained de facto independence. The British controlled entire town Calcutta, defended by Fort William. Bengal also had towns of other European powers like the French and the Dutch, but the British settlement was the most wealthy and prosperous of them. In the summer of 1755 the Nawab, Alivirdi, was dying. For the last few years he had been working to ensure the succession of his favourite grandson 21-years-old Siraj-uddaula. He had even made his general, Mir Jafar, swear an oath of loyalty to his grandson on Koran. Yet when Alivirdi died, Siraj-uddaula’s hold on power was far from confirmed. On the one hand, his own family members, including his aunt, conspired against him. On the other, the Emperor in Delhi kept threatening to march on Bengal and take it back. Even the Europeans, who seemed to be getting exorbitantly rich and powerful through trade, posed a threat to his rule. Under pressure, the new Nawab started a military campaign to consolidate his power. First he neutralized his own family members and any possible claims to his throne. Then he turned his attention to the British. The fortifications of Calcutta, which appeared formidable, were a cause for concern for the Nawab. He wanted the Europeans in Bengal to be vulnerable to his army, especially since it was a common practice for Nawabs to extort money from the Europeans from time to time. To keep the British power in check, he ordered them to remove the fortifications. When the British refused, he decided to teach them a lesson. On 9 June 1756, Nawab’s army attacked Calcutta and laid siege to Fort William. The British were taken completely by surprise. The siege lasted for ten days during which most Indian residents of the town fled. Absurdly, with their Indian servants having deserted, the British men began to starve despite having large stores of food because there was no one left to cook the food. Finally, in despair, the governor of Calcutta and the military commander secretly escaped, leaving others to fend for themselves. The remaining British held out for one more day and then surrendered on 20 June. The city of Calcutta was torched and the Nawab ordered Fort William to be converted into a mosque. High on such absolute victory, he sent messages to the French and Dutch towns demanding huge levies or face the same fate as the British. The 146 surrendered men and women were put under arrest. During the night, Nawab’s soldiers, drunk on their success, decided to put the prisoners in the fort’s dungeon called the Black Hole. The dungeon was a tiny cell meant for only two prisoners. By morning 123 out of 146 prisoners were dead due to suffocation and crushing. When the Nawab woke up and discovered what had happened, he let the survivors go free. But the damage had been done. The incident of the Black Hole became infamous as the most terrible treatment of Europeans in India. Strangely, the word of the incident did not reach London until one year later in June 1757, by which time all matters had been settled. Nevertheless, it drew shock and panic in the city. Back in India, the East India Company had begun organizing a retaliatory force in Madras, but the distance and other pre-occupations meant that the expedition needed months of preparation. In the meantime they wrote to the Nawab saying that they did not bear him any ill-will for what had happened. 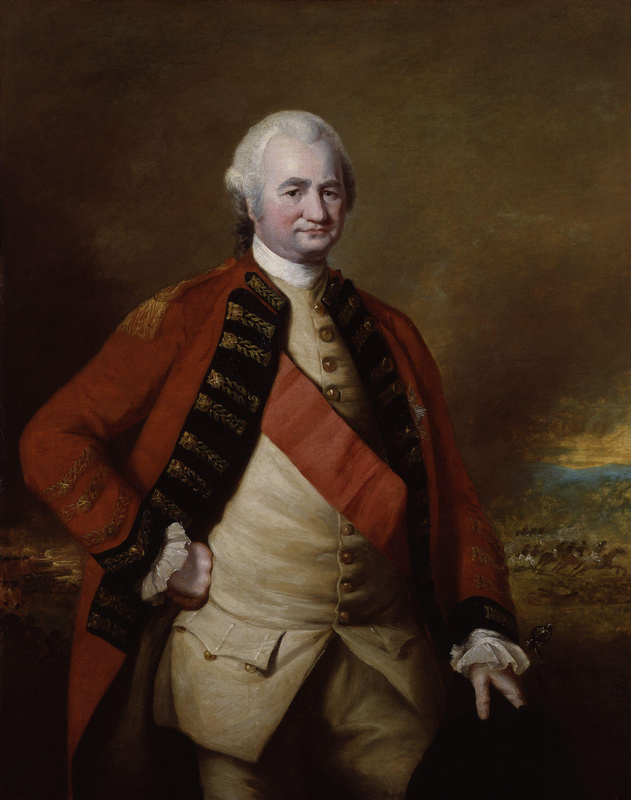 In October the force set sail, under the command of Colonel Robert Clive, an already-legend who had been fighting wars in and around India for fifteen years. Clive’s forces landed in Orissa and then marched on to Bengal. They encountered a detachment of Siraj-uddaula’s forces at a fort called Budge Budge. They pushed back Nawab’s soldiers and decided to take the fort next day. During the night a drunken British sailor climbed on top of the fort and started yelling that they had won, causing other soldiers to follow him. The Nawab’s detachment had long since retreated. Rumours spread through Bengal that the British were so brave that a single soldier could take an entire fort! On 2 January, the British returned to Calcutta, sweeping aside whatever little resistance they had met in the way. Nawab’s army was still in Murshidabad. Clive wanted to strike further terror into the heart of the enemy. To do so, he organized a sudden raid on the city of Hoogly. On 9 June, British forces quickly took the city, sacked it and retreated before Siraj-uddaula’s army could catch up to them. Despite their successes, the British were cut off from trade and resupply while the war lasted. It was in Nawab’s interest to prolong it. Instead, he made the strategic mistake of trying to finish off the war quickly. He brought his army – with 40,000 horses, 60,000 soldiers on foot and 50 elephants – up to Calcutta and began preparing to attack the city. Clive decided to launch a pre-emptive attack. On the morning of 5 February, under the cover of heavy fog, the British forces attacked Nawab’s army. By noon, when the fog cleared, Clive realized that he was smack in the middle of enemy’s main camp. Instead of retreating, he decided to push ahead. It proved to be a winning decision. Nawab’s army broke up and many fled. The British lost 57 men, the Nawab 1,300. Faced with a surprising defeat, Siraj-uddaula capitulated and decided to negotiate a deal with the British. On 9 February a peace treaty was signed that reinstated the British to their former position in Bengal and promised them indemnity of Rs. 3 lakhs (which was a paltry sum given that the sack of Calcutta had cost East India Company Rs. 95 lakhs). For the moment there was peace, but it wasn’t to last. Clive had come to Bengal not just with the objective of retaking Calcutta. Even before setting sail for Bengal, he had written, “this expedition will not end with the retaking of Calcutta only – and that the Company’s estate in these parts will be settled in a better and more lasting conditions than ever.” After displaying extraordinary skills on the battlefield, Clive was now going to employ his other talent – trickery. 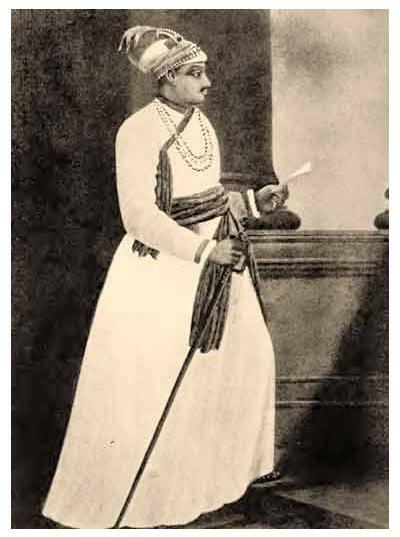 In the coming months, he set about plotting the demise of all the potential rivals to the British power in Bengal. The intention was to secure Company’s profits, not to rule Bengal. But inadvertently, it will set about a chain reaction of events resulting in British as masters of one of wealthiest parts of the world, oceans away from their homeland. This entry was posted in 1757-1815, British Expansion, The Raj and tagged Battle of Plassey, Bengal, East India Company, Robert Clive. Bookmark the permalink. well written ! perhaps you could also have a look at Partha Chatterjee’s “Black Hole of Empire” which argues about the black hole incident and issues about symbolism in history. Check out India by John Keay. The most balanced and researched history of India I have read. Very interesting article. Got new insight about the beginning of Raj era.